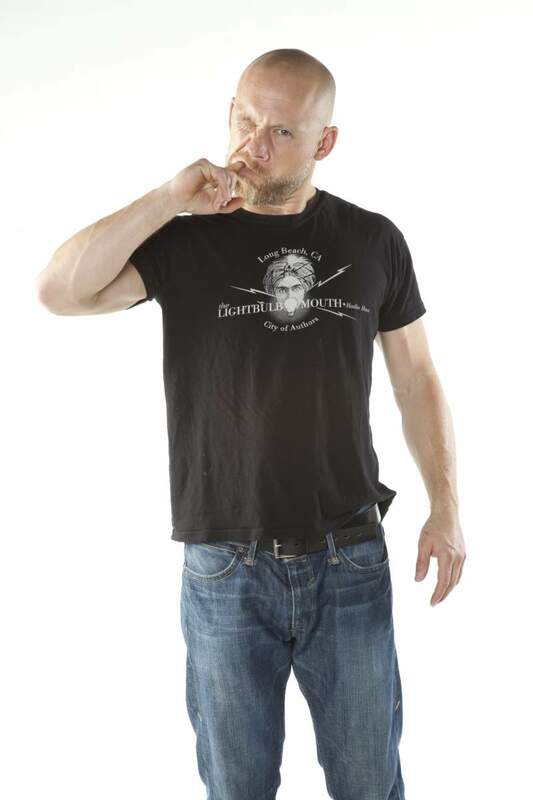 The world renowned multi award-winning slam poet Buddy Wakefield will bring his radical spoken word show to Newcastle’s Cobalt Studios on Wednesday 17th October. The American artist has racked up three world championship slam poetry wins, and his CV reads more like a rock star’s than a spoken word artist’s. Having released on Sage Francis’ Strange Famous label and currently signed to Ani DiFranco’s Righteous Babe Records, Wakefield’s disarming style is unpredictable and engaging; possessed of an innate way with words, his performances are full of humour and zeal. Providing support on the night will be Sarah Crutwell, the organiser of Teesside spoken word event DiVerse, who will tackle thought-provoking subjects like mental health, loneliness and sexism. Also performing will be the North East’s own versatile MC Drop Dead Fred (Backyard Rhythm Orchestra, Verbal Terrorists), whose set will be based around his pioneering Tetracrypton rap flow, in which every four lines contains a hidden message. A forward-thinking and animated creative, this will be the debut performance of Drop Dead Fred’s innovative lyrical form, and as such a real high point of the programme.